As we have seen in previous blog posts on Jeffboat (Jeffersonville, Indiana) and BAE Systems’ shipyard (Mobile, Alabama), a significant downturn in shipbuilding, repair, and maintenance is now coming to Philly Shipyard (Philadelphia, Pennsylvania). 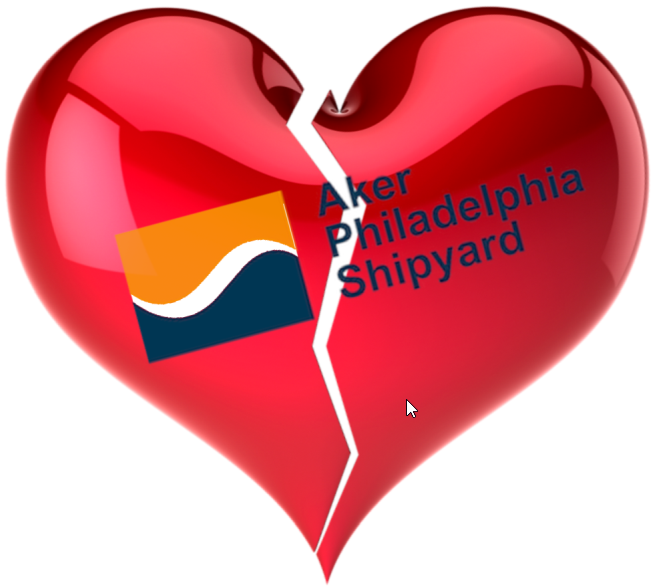 Philadelphia Shipyards, majority owned by Norway-based Aker Capital will be laying off 275 employees and contractors as its backlog of builds dwindles to zero. Although the company does not have a backlog, work on the two remaining 850-foot cargo ships, the largest container ships built in the United States will continue until completion. The company’s business relies mostly on ships purchased to fulfill the requirements of the protectionist "Jones Act" which requires cargo shipped between U.S. ports to travel on American-made ships. Most of the traffic is restricted to Pacific destinations between the Continental United States and Hawaii, Alaska, Puerto Rico, and Guam. Much of the competition for massive container ships come from China and Koreas where labor is cheap and the ships are simply modular units cobbled together. Not only are the ships larger, they are less expensive as it is estimated a U.S.-built ship can cost up to four times its foreign counterpart. The company does not anticipate seeking government assistance to stay afloat as it has in the past – but that is always a possibility. Whether the Trump Administration would be open to supporting a foreign-owned U.S. operation to preserve jobs is unknown. More comprehensive details on the company and its future can be found here.